One box of 50 rounds 20 VARTARG ammo, "Reaper" Class; NEW, professionally loaded by American Custom Ammo. 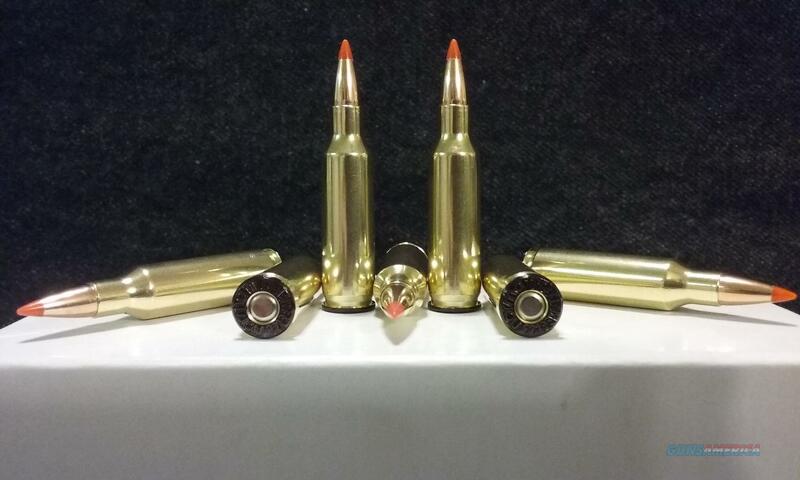 Utilizing 40 grain Hornady - V-Max, .204 diameter, Jacketed Polymer Tipped Spitzer, Boat Tail bullets. Velocity is approx. 3302 F.P.S. out of a 24" barrel with a 1 in 12" twist.. Brass is New, 221 Fireball - NORMA, modified, reformed/resized to 20 VarTarg and is Boxer primed thus allowing it to be reloadable. This is NOT vintage ammunition. It is NOT corrosive. This ammunition is ONLY for use in properly functioning firearms chambered in 20 VarTarg, known to be in good condition. Thank you for supporting this product!!! More and additional loadings are available upon request. You MUST be 21 years of age or older to purchase this ammunition! NOTE: Brass is NOT steel or steel lacquered! Headstamps have been blackened out so as NOT to create confusion with the parent case caliber designation. Ammunition comes packaged in a new, 50 round, reusable, plastic hinge top box.